Would you be up for writing a walk through on how you're extracting the RC4 and AES key from Citadel samples and decrypting the configs ? The AhnLabs analysis is great, but I feel like it leaves some to be desired on the crypto. Doing my own reversing, the 2 AES functions map pretty closely to OpenSSL's AES_set_decrypt_key() and AES_decrypt() functions. Regardless of what I try though, I can't get the configs to decrypt via the openssl command line (openssl enc -aes-128-ecb -d -in config.dll -out decrypted -K 7CBB17F97C4921C6F00B554EED1F4FF2 -iv 0) (I take into account the post-AES XOR obfuscation). I also played with CBC mode (using the first 16 bytes of the config as the IV), even though I didn't see an IV being extracted/combined with the ciphertext in the code. Are other researchers just dumping configs from a debugger or am I'm overlooking something? Has anyone been able to decrypt the configs via openssl command? 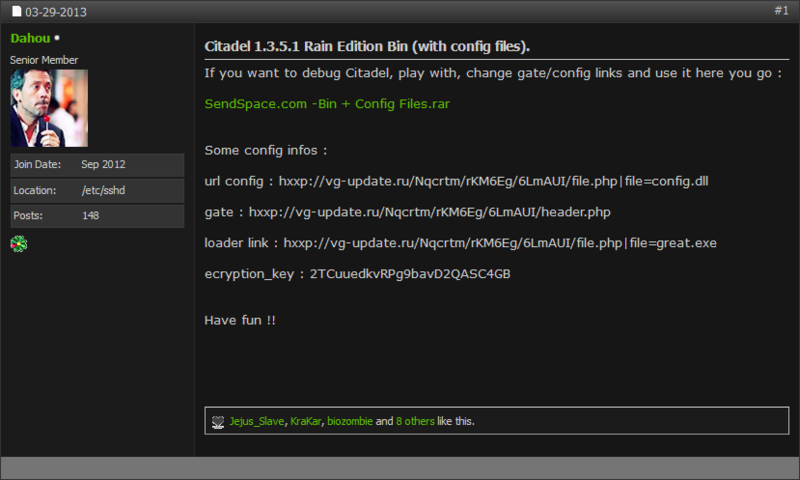 exitthematrix wrote: Citadel 1.3.5.1 Rain Edition sample. It have some anti-VM and anti-AVS functions, couldn't run it under Comodo and didn't try manually, maybe someone will do. I don't think this is Citadel... not communicating like Cit. Citadel 1.3.4.5 builder+Panel and User Manual. I know version is older than what xylitol had posted earlier, but i m posting it along with user Manual. 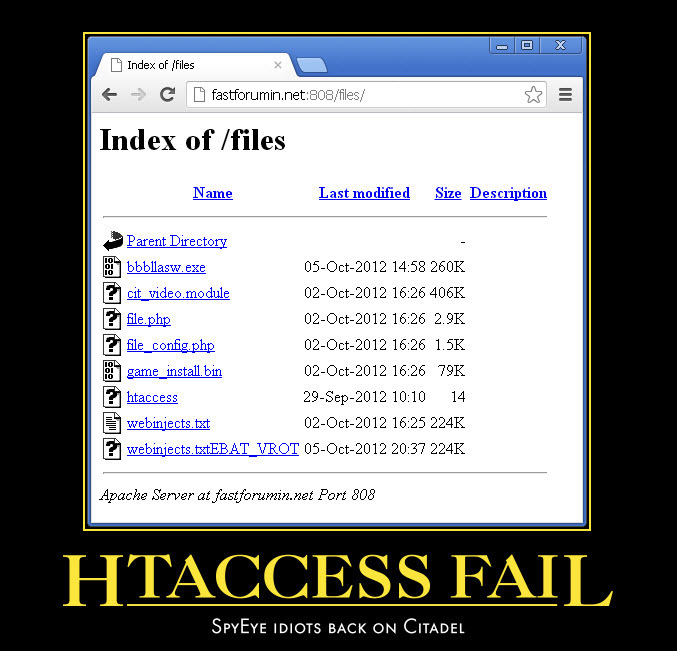 This manual includes information regarding bot(Zeus) and its commands. How to setup and configure the servers(http and mysql).